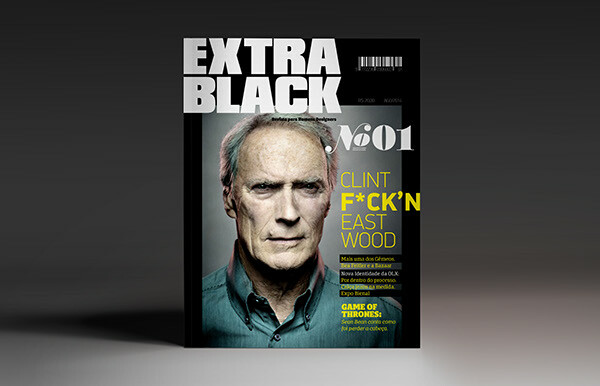 The Extra Black Magazine faces the male audience, specifically designers. 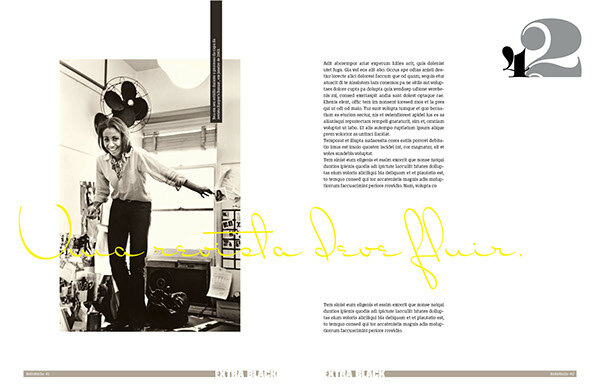 It uses a striking visual language, with big and fat titles using constantly typography combinations. 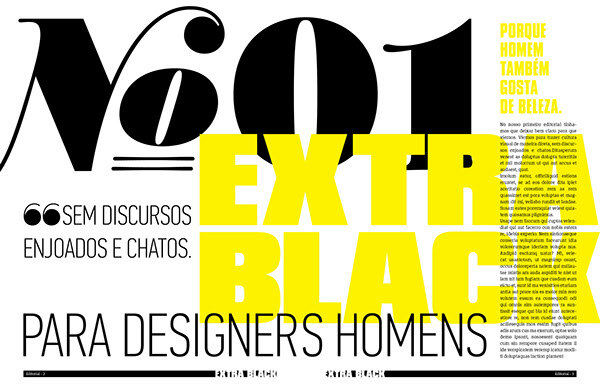 The name Extra Black refers to the typographic weight style, a tribute to typefaces that are commonly used for attract attention. 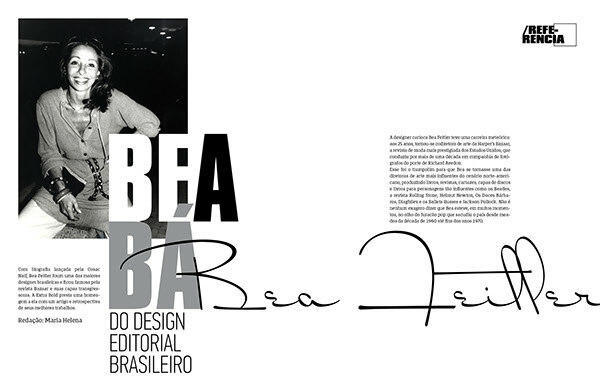 In 23x30 cm format, the magazine uses basically three typefaces: Compacta–by Letraset Foundry–for larges titles, PF DIN Pro by Parachute to small titles, and the Bommer Slab, by Dootype to the body text. 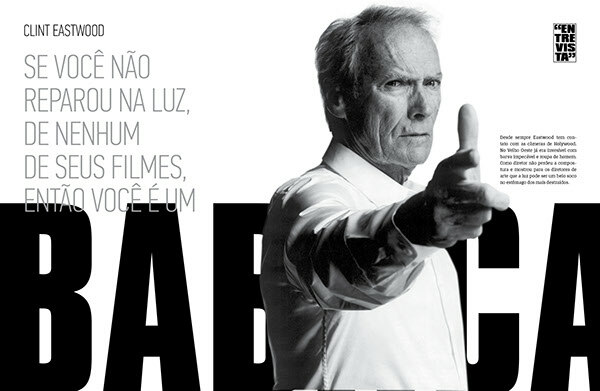 All typefaces has outstanding characteristics. 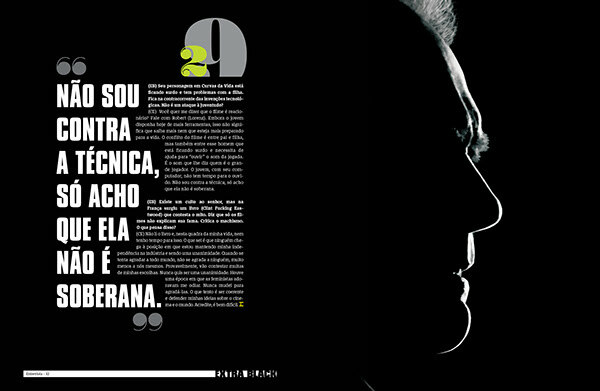 While the Compact has the largest spot by size and heavy stem, PF DIN highlights itself by the x-height and condensed style that suits as well in the magazine's text columns. 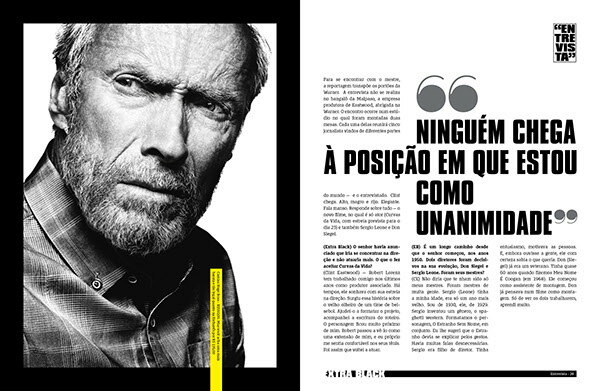 The body text in Bommer wins personality with the heavy serifs that define the lines in the printing stain. 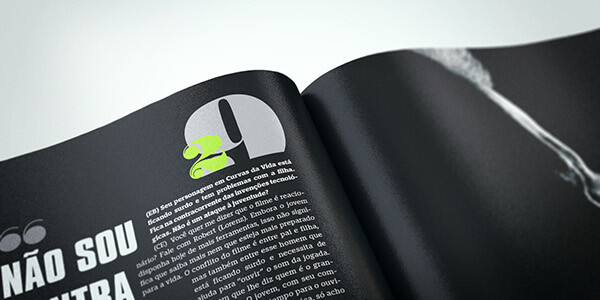 In addition, the Magazine's numbering becomes an highlight element in some pages, using the Worthe Numerals by House Ind. 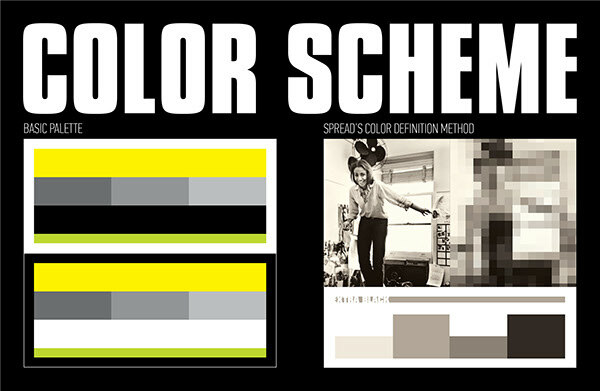 The Magazine's color palette is limited, with constantly use of black and shades of gray, to provide a sober and male environment.